Weddings are an important day for any bride. That’s why choosing the right ribbon at May Arts is so important! 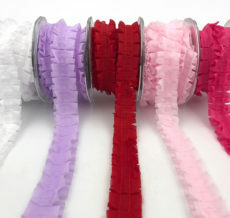 Whether you are gift wrapping, decorating, or adding the finishing touch to bouquets, May Arts has the perfect ribbon.